Jockeys are renown in the sporting world for being short, bright, and colourful. Their gear often consists of extremely vibrant pinks, blues, and yellows, and sometimes includes polka dots and other shapes. Along with this, their helmets, boots, and other gear are unlike anything any other sportsman takes with them on to the track or field. But why do jockeys have such unique gear, and why do they need the bright colours? As part of their training, jockeys have to acquire and become familiar with all the accessories they need for a day on the track; which is almost all governed by how much they weigh rather than the aesthetic. 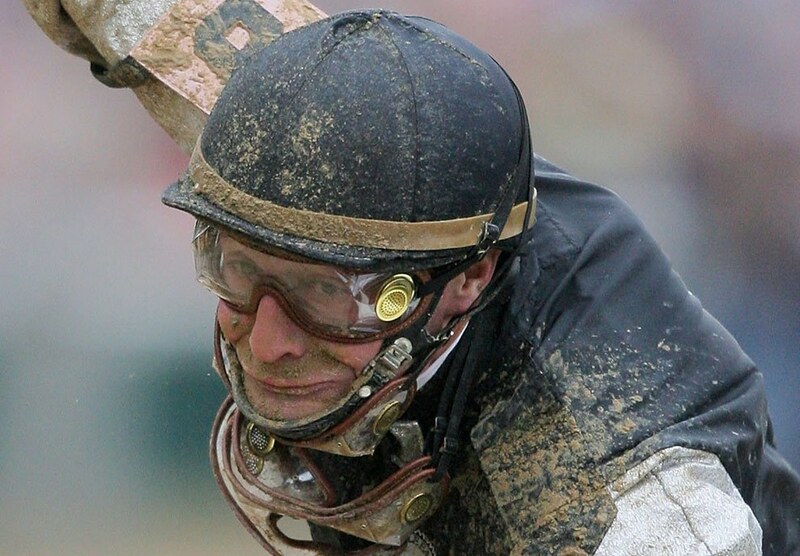 Goggles are a necessity that any jockey needs to have before participating in a race. They protect the jockey’s eyes from mud and debris being kicked up by the horse in front of them, as well as from any stray insects that are flying past. They are generally only worn on the day of the race, and are not commonly seen being worn while the jockey is training. They’re also by far the cheapest piece of equipment that a jockey needs, usually costing around $10. The helmet, also known as the skullcap, is mandatory when racing, and is designed to provide the most protection to the jockey’s brain as possible. They can be extremely expensive, costing up to $900 in some cases, but it’s often worth the cost, especially when the jockey finds themselves being knocked off their horse and straight onto their heads. The owner’s colour, known as the silks, are often worn over the helmet on race day. The skivvy can be found under the main colours, and provide an added layer of protection. The skivvy is usually made up of a lightweight material or mesh during a race, while a heavier version is used for track work. They also come in either sleeveless or with sleeves. The bright colours – which could only have been inspired by something bright and colourful like online slots Canada – that we see jockeys adorn during a race are always the colours of the owner or trainer of the horse that the jockey is riding on. Along with the bridle and the reins, the silks are the only part of their gear setup that they don’t own, which are always provided by the owner or trainer. They will often bring several sets of their silks to a race day, particularly on days where there’s rain and mud. As far as sizing is concerned, silks are designed to fit all sizes, both for women and men. While it’s common to see a jockey sporting knee-high leather boots, these are often swapped out for a lighter version while racing. They tend to cost around $200 for most pairs, and jockeys will always opt for the most durable material they can find, which tends to be higher-grade leather.